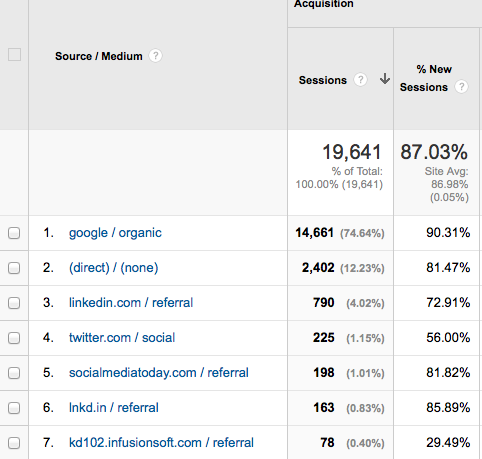 Google Analytics is a beast. There is so much data and so many different things to look at. To be honest, when it comes to Google Analytics, I could get lost for hours and hours. But that’s not the best use of my time and probably not yours either. From a social media standpoint there are a few things I like to look at deeply. This is the data that matters most to me as a means to measure what is working and what’s not. 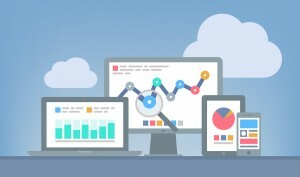 Before you look at your analytics you need to have a reason for doing so. Is it to get an overview or is to analyze a piece of content or all your content. You need to have a plan before you go in. What I’m going to share with you however is just an overview. In later posts, I’ll go into detail on other things I look at. 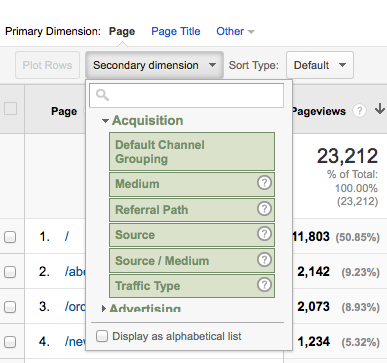 Here’s your primer on what to look at on Google Analytics for a quick overview and a more in-depth look. You might be asking me why I choose this category on Google Analytics and not Social Referrals. The answer is simple, the social referrals is far too basic for me. I want to see how the content we produce and share travels around the web. This can come from blogs or social media sites, so restricting it to social only is limiting. Site content gives you an overview of what pages people are going to on your site. From a blogging and content marketing standpoint, this is obviously extremely important. You want to be able to see which type of content works the best to drive the most traffic. To go even deeper click on the content and define a secondary dimension to see where the traffic is coming from for that particular page on your site. For the secondary dimension click on source. From here you’ll be able to see where traffic came from for that particular page. You can also do this backwards by clicking on Referrals and setting the secondary dimension as content. Either way will give you a good look at where your traffic is coming from and what content they are looking at. Now, traffic is obviously important. You need traffic to get leads. But what’s even more important is leads and tracking where your leads come from. You can get a million hits from a particular site but if none of them converts, then it isn’t doing you any good. For lead tracking I think Infusionsoft is the best! There you have it. The two things I look at on a daily basis in analytics. I also use SiteTracker for a daily look.